Today's swap is designed by me. 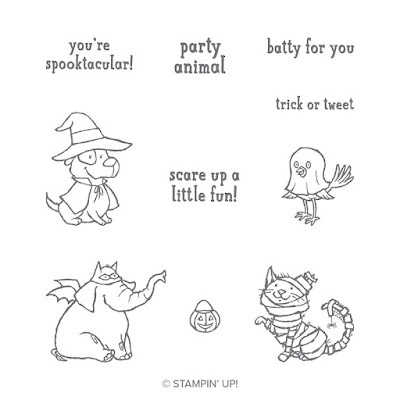 I used the Trick or Tweet stamp set from our Holiday catalog. I loved this set as soon as I saw it, the animals are so sweet! The line art makes it easy and fun to color with our various tools: Watercolor Pencils, Stampin' Write Markers, Stampin' Blends alcohol markers, Blender Pens, and Aqua Painters. I used our Watercolor Pencils on my design. 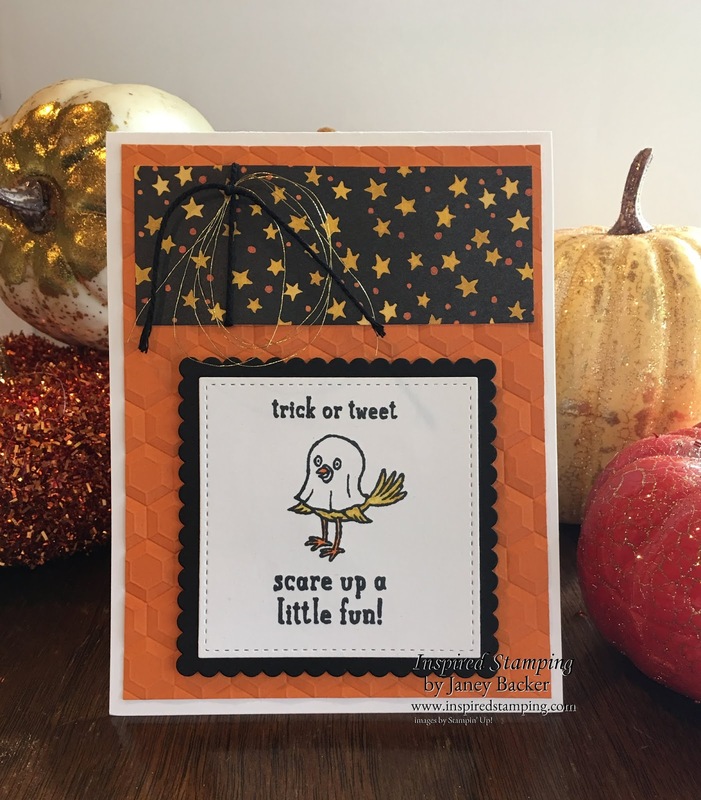 This design from our Toil and Trouble Designer Series Paper was fun to coordinate to the colors on my ghost and card layers. 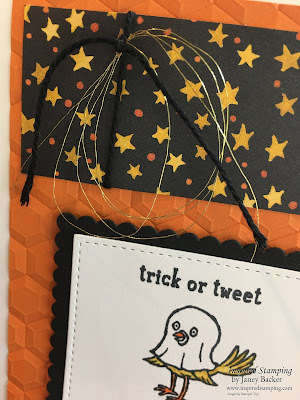 One of my favorite techniques for holding loops of Gold Metallic Thread, is tying it on the Black Solid Bakers Twine. 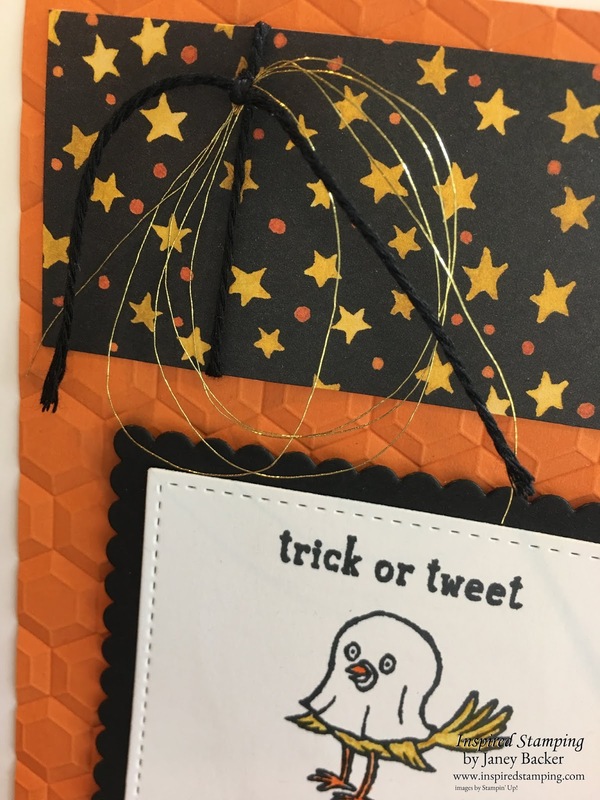 The gold thread adds sparkle! The hexagon embossing is a fun geometric shape for the card front, but be sure to always spritz your card stock when using these dynamic textured embossing folder. The supplies for my design are detailed at the end of this post. 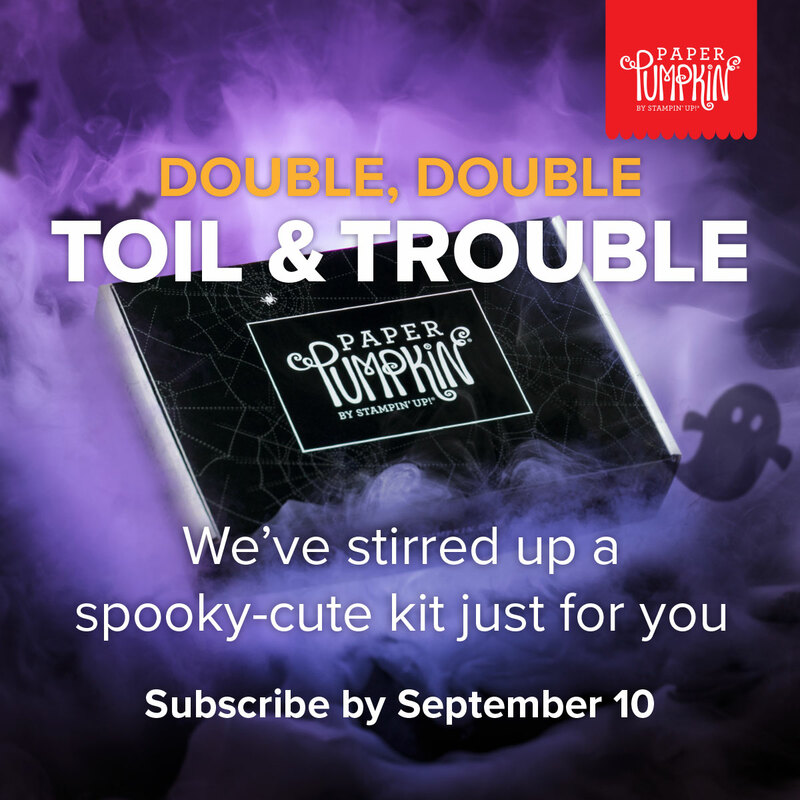 Today, September 10th, is the LAST day to subscribe for this cute Halloween kit. 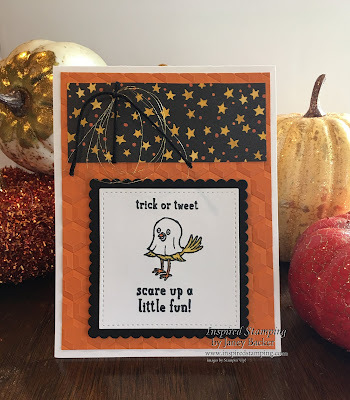 I will be sharing alternate ideas for this kit on October 6th, so plan to join me to get creative! 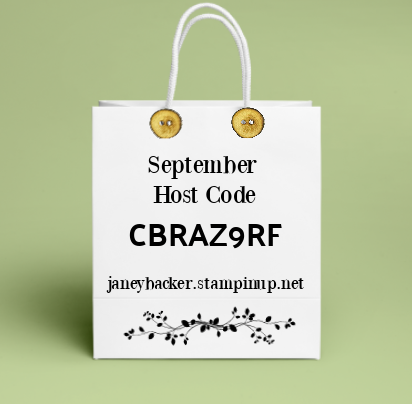 Subscribe for Paper Pumpkin here.